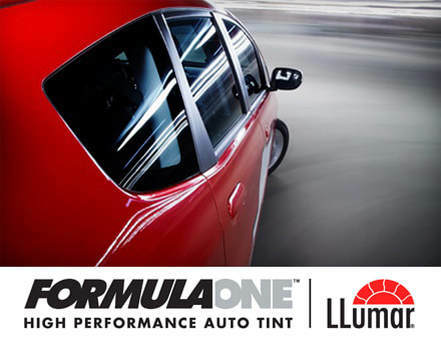 FormulaOne High Performance Auto Tint by Llumar offers the superior look you want and reduced heat by up to 65% and 90% of radiant heat and more than 99% UV protection. Help protect your auto’s interior from fading and cracking, help reduce glare and eye-strain while driving. LLumar Window Tint's strong, protective barrier can also help deter thefts and safeguard the valuables inside your car. Not only by keeping them out of easy visability, but by keeping your window intact under pressure. During side-impact collisions, it also helps hold glass fragments in place to prevent injury so you can feel more confident in your car. Why Invest in a Car Window Tint? Your car is one of your prized possessions. If you have it, the chances are that you use it extensively. After all, no one wants to use public commute and have a long and uncomfortable journey when they have the option of traveling in their automobile. Once you are in the possession of a personal vehicle, it is hard to imagine life without it. For this reason, you should cherish and take care of your car. One way to do so is by investing in a auto window tint in Denver. Tinting your car not only serves to protect the inner parts of your car from damage from the sun, but it also acts as an aesthetic enhancer. In a world full of similar-looking vehicles and models of automobiles, placing a window film over your car in Denver can be a form of personalization. Most minor accidents tend to cause damage due to the car window shattering which, in turn, may hurt those in the passenger’s seat. No one wants to be responsible for someone else’s injury, especially if it is your loved ones. Those of you who live in colder areas might think that the sunlight is a blessing and should be taken advantage of when it shines upon you. However, a high exposure to direct sunlight and, hence, UV rays can cause more damage than you think. What you might think of as a mere source of tanning can lead to an enhanced process of aging. When such exposure reaches dangerous limits, it can also cause skin cancer. You can avoid all such ailments and problems by installing a car window tint. These tints shield you from direct sunlight and protect you from all the harmful effects of UV rays. Most of you can relate to the feeling of getting into your car on a hot day and finding your seat as well as the steering wheel to be unbearably hot. Such instances are common if you do not park your car under some shade or if the day is unnaturally hot. One way to reduce the level of heat in the car is to tint your windows. This limits the sunlight that enters your car and ensures that you don’t end up sweating profusely on your way to work. When the weather is unbearably hot, the chances are that you turn off the air conditioner in your car. Now, ACs tend to get strained and work more if the car is more hot than usual. They constantly operate until the temperature within the car is reduced to the required amount. The more heated your car is, the more strain there will be on the AC unit to perform. Increased strain will lead to an increase in fuel consumption and, hence, its cost. As we mentioned previously, a car window tint works to decrease the heat within the car. By cooling down the car, this tool reduces the burden placed on air conditioners, which leads to a decrease in fuel consumption. In a city like Denver, Colorado, sunshine is readily available 300 days out of the year and the costs saved by doing this can be a game changer. We can safely conclude that by installing quality auto window tints, you are bound to save some gas money. When you are on your way to work or someplace else, have you ever stopped at a signal beside a fully packed car and realized that there are various people ogling at you and your family? Do you feel uncomfortable when such intrusions in privacy occur? If so, an auto window tint can take care of this for you. All you need to do is install dark shades of tints and you will ensure that you and your family are protected from prying eyes. Does this mean that you won’t be able to see the outside world? Not at all! You will still be able to see it all while blocking the view of others. It’s s a win-win situation. The world is full of stories of smash-and-grab thieves. The moment they see that your car has something valuable inside it, the only thing a thief has to do is smash the window of your vehicle, grab the item, and run for their life. A tinted window makes this act quite difficult. Firstly, it doesn’t let anyone see what the inside of the car is equipped with. Secondly, it strengthens the glass of the window so that it becomes harder to break. Therefore, even if a novice thief decides to try their luck and try to break the windows of your car without knowing if anything is inside it, the time that it will take them to break the window is enough for the car alarm to do its trick. You can say that once you install a tinted window, your car and its possessions will be better protected than before. All in all, there are numerous advantages which make tinting the windows of your vehicle in Denver a lucrative option. Even if you don’t care about the aesthetics of your car, we suggest that you invest in the tinting process for the safety and comfort of you and your family. Moreover, make sure that you invest in quality window tint. Not every installer of the product is equipped to do a good job. Ask around and see the work of various potential installers before you decide to avail the service of any one of them. Your car is your constant companion. Ensure that you treat it with the care that it needs. It deserves the best, and so do you! Contact RM WindowTint in Denver today to start benefiting from the advantages of having your windows tinted.